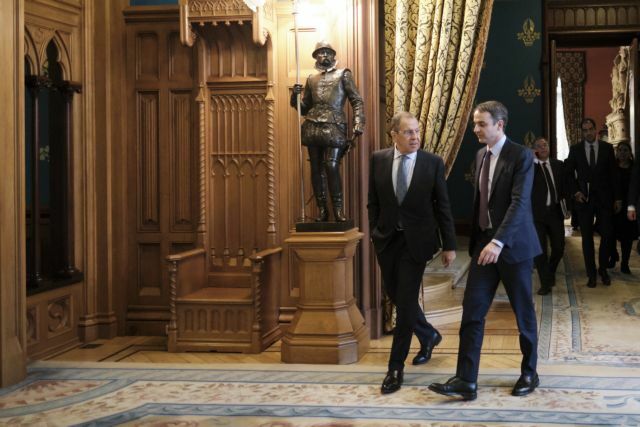 New Democracy leader Kyriakos Mitsotakis commenced an effort to build closer ties with Russian leaders in talks with Prime Minister Dmitry Medvedev, Foreign Minister Sergey Lavrov, and the Chairman of the State Duma Vyacheslav Volodin in Moscow. «We are developing a broad and dense network of international contacts for the benefit of the country and national interests. In this framework, relations between Greece and Russia acquire their own special significance, since the many close historic ties linking the two peoples are well known,” Mitsotakis told the press after his talks. «Greece is a country that inseparably belongs to the Western security and value system. This does not mean, however, that it cannot improve its bilateral relations with Russia. And this was the subject of the contacts I had today with Prime Minister Medvedev, Foreign Minister Lavrov and the chairman of the State Duma, to discuss how the framework of bilateral relations between Greece and Russia can be expanded and strengthened,” he said. «I believe that, for Russia, Greece can be a reliable and trustworthy partner and this is precisely the direction that ND’s policy intends to move, provided that the Greek people place their trust in ND after the next elections,» Mitsotakis underlined. Mitsotakis discussed the aims of his trip in an interview with the Russian state-run news agency Tass on the eve of his arrival in Moscow. “According to public opinion polls, the New Democracy has been stably ahead of the ruling Syriza party, led by Prime Minister Alexis Tsipras, in the recent months in popularity among potential voters by 5-11 percentage points and has all chances to succeed at the upcoming parliamentary election. 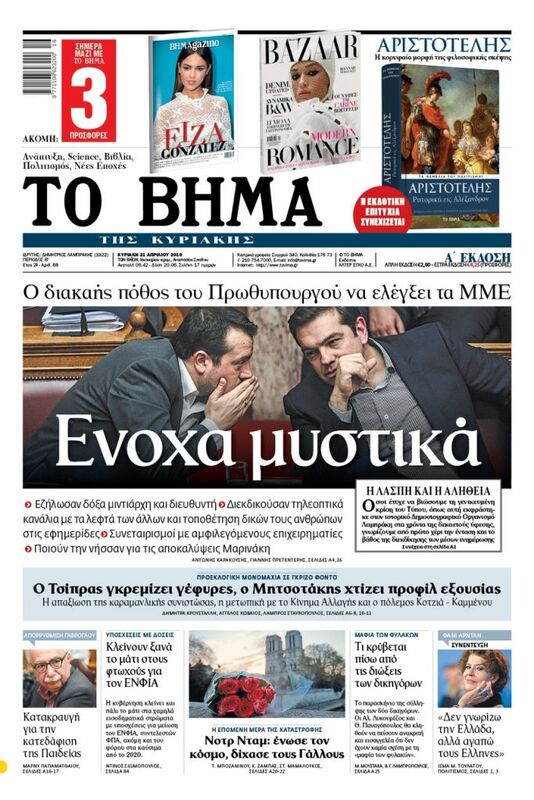 In this case Mitsotakis will become the next Greek prime minister. The election will take place in October in the country,” Tass reported. In his interview Mitsotakis expressed hopes or repairing and strengthening relations with Moscow, which were tested due to the Prespa Agreement primarily. «Greek-Russian ties should be always based on international law, mutual respect and the understanding of the corresponding basic priorities, sincere cooperation and avoiding actions that could damage all which had been created, more or less, in relations between the two states. Based on these fundamental assumptions, I am firmly confident that constant contacts between Greece and Russia on all levels will strengthen the dynamics of our cooperation in all areas,” he said.